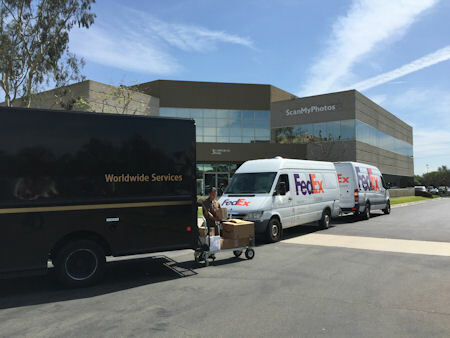 (Irvine, CA) Expanding on the theme of National Preparedness Month (NPM), companies across the nation, including ScanMyPhotos.com are issuing an urgent recommendation to encourage people to take action and prepare for emergencies year-round. On twitter, look for the hash tag #NPM10 to follow online announcements about National Preparedness Month. NPM is a nationwide effort sponsored by the Department of Homeland Security's Ready Campaign to increase awareness for preparing and to effectively deal with emergencies and natural disasters. As an advocate for protecting and sharing photographs, ScanMyPhotos.com is urging people to have their hard copy photos scanned and backed up now. ScanMyPhotos.com president and CEO, Mitch Goldstone, said that “in support of National Preparedness Month it is important to remember that beyond gathering survival items when preparing for natural disasters such as fires, hurricanes or earthquakes one should also focus on the irreplaceable items in the home. “Preparing for a natural disaster is a year-round imperative,” explains Goldstone who said, “In an instant, when disaster strikes, you risk losing precious photo memories. Family photographs document our lives in a way that material items cannot. Once those photos are destroyed, that part of the family history is lost forever. Family photos can also be ‘lost’ due to neglectful storage, sun exposure and actual time. Because of new photo imaging technology, no longer do you have to individually scan every photo. That daunting task has been replaced with ultra-fast and affordable bulk photo scanning using Kodak technology and performed by photo imaging industry professionals with same day return. Your photos are digitally scanned and saved onto DVDs allowing you multiple off-site backups. ScanMyPhotos.com also offers its secure Extreme Backup plan for independently archiving all your images assuring the client total photo preservation. Background: The history of ScanMyPhotos.com and affordable bulk photo scanning services: Founded in 1990 as a boutique retail photo center, the company is headquartered in Irvine, California. Today, ScanMyPhotos.com and its digital imaging retail photo center also operates a nationwide online photo ordering service that regularly makes national news for its leadership, entrepreneurial innovations and super-fast service. The company provides hundreds of photo imaging services. Years ago, the ScanMyPhotos.com division commercialized a new type of ultra-fast Kodak photo scanning technology to safely digitize and preserve tens of millions of millions of photo snapshots. Popular Photography called ScanMyPhotos.com a "leader in digitizing prints," the company has been featured in The Wall Street Journal, and USA Today. Click to read David Pogue’s Personal Tech review in The New York Times.